Our news that the operators of long-time Madrona restaurant Dulces were moving into Broadway’s Joule building lasted exactly one week. We’ve heard from a person close to the situation that issues came up with the Joule build-out and now the new plan for a move for Dulces to another Capitol Hill location is already public. Enjoyed a wonderful dinner at Dulces in Madrona last evening. This place is still such a treat! Spoke with the owners about their future plans and things have changed a bit. They are not moving to Broadway as was previously reported. They are finalizing plans to join the brewery moving into the long vacant space at the corner of 14th and Union . FYI to those that recently purchased groupons for use at Dulces, the owners wanted to communicate that wherever they reopen – whether it is called Dulces or not, they are going to honor the groupons that were sold to their loyal customers. You still have a couple of weeks to enjoy the wonderful food, ambiance and hospitality that we have all come to know and love from the Dulces location in Madrona for the last 16 years. Their last day in Madrona is January 28 (I would call ahead for rezervations as they were quite busy last night). Thanks for this piece of information. I’ve been wondering about this myself! I’m sorry to see them leave the Joule, as it would help raise the bar a bit on Broadway, but glad that Dulces will still be coming to the Hill. I’m going to try and get in again before the move! I remember meeting with the developer of the Joule and they were promising to bring in a higher level of retail and dining tenant. The rents are high, of course, so that seemed to make sense. It would also be good for Broadway to have some diversity (although the North end is starting to provide something besides pho and pizza). Hey Joule…what about courting a ZARA to open in your big space on the corner of Republican and Broadway. They would be a “destination” retail and you’d have the only one in Seattle. I know it can’t all be “high end”, but a healthy mix would be good and, let’s face it, Broadway retail could use a “draw” of some kind. The Joule newsletter that went out to residents on 1/5/2011 said “Coming Soon! MOD Pizza and Saizen Sushi”. It didn’t say anything about Dulces. 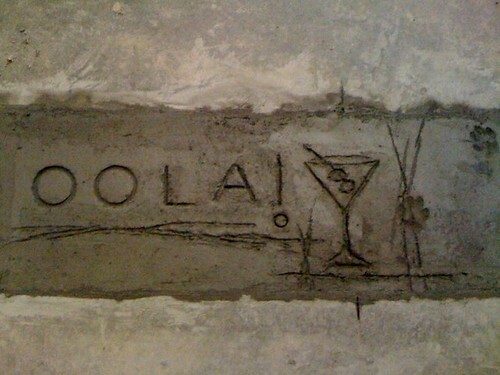 Just a quick note about the Oola Distillery Project at 14th and East Union. While I love and respect the people at Dulces Latin Bistro (and I think we would work well together), absolutely nothing is happening yet. The info got a bit ahead of the facts…. Just don’t want to give the wrong impression…. so far no tenant, no offer, no LOI…. but LOTS of interest so we’ll see….. could be some real news soon. I’ll let CHS know as soon as there is a tenant! Zara already has plans downtown, doubt they’d do the Hill, too. Well, I’m glad to see that ZARA has finally decided our market is worthy. Given that they’re one of the worlds largest retailers, it has always surprised me that we still haven’t managed to land one in Seattle. So…where are they going to be? It’s a shame the Hill couldn’t manage to pull a coup on that one. It truly would bring shoppers to Broadway. I hope Dulces is bringing their excellent wine list with them. Because their food was always consistently of mediocre quality and too high a price. The wine is the only reason to give them the time of day.